We host The Disappearance Blog Tour today. 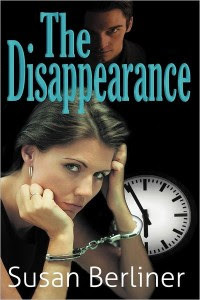 Presented by Pump Up Your Book Tours, The Disappearance is a murder mystery with time travel too. Susan Berliner, author of four books, talks about her latest release and her upcoming works in our interview below. Welcome to Reader Girls. 1) When did you know you wanted to be a writer and when did you realize you were? I've been a writer since my playwright days in elementary school. At least I started to write plays. I'd list the cast of characters and maybe write the first scene, but I never finished any play. As an adult, after a year as a second-grade teacher, I switched to newspaper reporting and I've been a professional writer ever since. I've also worked as an educational writer, promotion manager, and editor. I only became a novelist a few years ago. I realized I could write fiction when I asked my husband to read the beginning pages of my first novel, DUST, and let me know if the writing was any good. He said it was terrific and urged me to finish the book. 2) How was the transition from non-fiction writer to fiction? It was much different than I expected. With non-fiction, I collected information, organized the material, and outlined everything I wrote. When I started writing my novel, I thought novelists also outlined their chapters before writing them. But that's not what happened. I just sit at the computer each morning and write. The words pour out, often without me knowing what's going to happen. The characters take over the action and, in essence, write their own story. It's a wonderful—and entertaining—experience! 3) Tell us about Jillian. How did The Disappearance come about? Jillian Keating, the main character in The Disappearance, is a young, vulnerable woman who's had a rough life. Her parents died when she was just a little girl and she never felt loved by the grandparents who raised her. She falls in love with Ryan Cornell, whom she thinks she has a lot in common with, and moves in with him. But Jillian discovers too late that she's made a very bad choice. I wrote the novel because I love reading time travel stories and thought it would be fun to write my own version of traveling through time. It's a great genre because, since time travel doesn't exist, the author can make up all the rules. 4) Do you have a favorite scene? Yes, I do. As I said, the novelist can make up the rules for time travel. I love the scene where I answer the question: What happens to a person when he or she travels through time and meets himself or herself? 5) During the writing process, were there any surprises? Because of the way I write with the characters taking over the action, there were tons of surprises. Very often my characters didn't do or say what I expected them to and the plot took many twists and turns that I didn't plan. 6) What are you working on now and what can readers expect from you next? My fourth novel, Corsonia, deals with another of my favorite themes: mind control. Two New York teen girls on a cross-country vacation stumble across a very strange town in the remote hills of northeastern Nevada. The book is written, but needs more editing. I'm currently writing a fifth novel, The Touchers, which is my version of the end of the world as told by a teen girl. It's not a typical doomsday source—no nuclear bomb, alien invasion, meteor, or deadly disease. I'll just say that the world ends with bubbles. I've already written 80,000 words, but my characters aren't finished with their story so I have more to do. 7) Any thoughts on the publishing world today? Is it easier to be a writer today than any other decade? Traditional publishing is declining and bookstores—especially independent ones—are an endangered species. I love reading printed books, but they might be gone in a few decades. Ebooks seem to be the reading choice of most of today's readers. Yes, it's certainly easier to be a writer today than ever before thanks to modern technology: word processing computer programs, advances in digital printing, and the advent of ebooks. As a newspaper reporter, I remember using a manual typewriter and carbon paper. What a mess! However, because there are so many writers today, it's much more difficult to get a book noticed by readers, even if it's a very good book. 8) Any advice for aspiring writers? I always tell them to treat writing a novel as a job—something you have to do. Get into a writing routine and force yourself to work for a certain amount of time every day—even if you don't feel like writing. And it doesn't have to be for a long period of time. Set aside an hour or half an hour. There's always time to write, even if it's just a few minutes. You just have to make up your mind to do it! After Susan’s children were born, she switched to freelance writing–mainly in education–publishing several book series dealing with editing skills, language arts, and standardized testing. She has also created teachers’ guides, student activity sheets, and test passages. 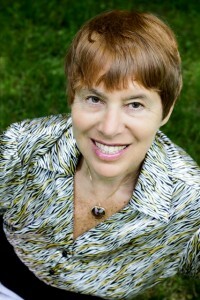 During this time, Susan was the project editor for a national science magazine for elementary school students and edited subject-related manuscripts for children in grades 7 and 8. In addition, she freelanced as a local reporter, covering board meetings for the North County News, a weekly newspaper in Yorktown Heights, New York. When she returned to work full-time, Susan became the promotion manager of the Yorktown PennySaver, a job she held for 20 years. She created many original weekly contests–Phony Ad, Rhyme Time, and PennySaver Prophet.